The beaches that line the sparkling shores of Grenada are no doubt spectacular. There are however, other fine bodies of water to explore on the island. Located in breathtaking national parks, Grenada crater lakes are ideal for travelers who love the outdoors. One could spend a day or two hiking, biking and immersing themselves in Grenada’s natural wonders. Many of the best trails are a short distance from Laluna Resort, making for perfect day trips to experience more areas of the island. Laluna’s Concierge services can assist guests by taking care of all of the details, and allowing visitors to personalize their trip. The Concierge at Laluna can arrange travel to and from hikes, as well as find the perfect guide to hike with. One of the most picturesque spots on the island, and one of Grenada Crater Lakes is Grand Etang Lake. This small but gorgeous lake naturally formed from a crater. Not only is the body of water itself a great place to stroll, it’s enveloped by lush, green vegetation and diverse wildlife to search for on hikes and walks. Many guests see the Mona monkeys in the wild that call Grand Etang Lake home. 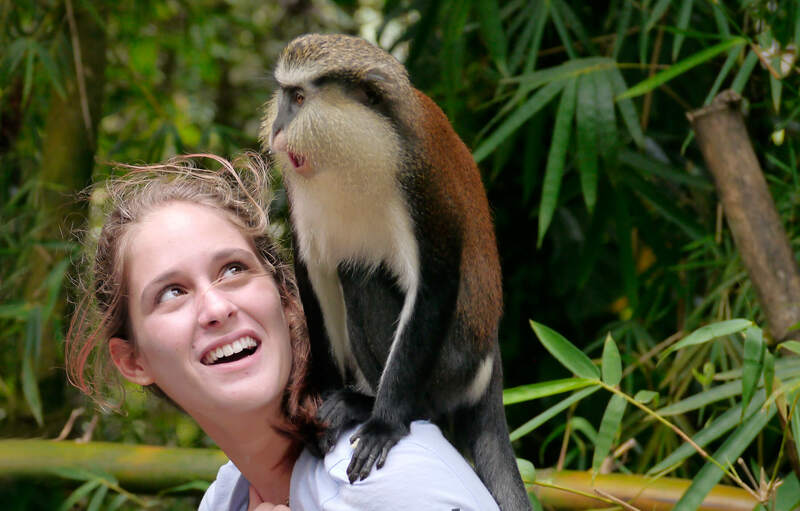 You may spot the Mona monkey or even make new friend with the help of a local guide. Local vendors are often available with chocolate and water for hungry and thirsty visitors, or pack a lunch and enjoy a relaxing bite by the water. The largest of the Grenada crater lakes, on the northern end of the island, is Lake Antoine. This noted national landmark is a must-see while on a getaway in Grenada. While the 18th century waterwheel and rum distillery are big draws to Lake Antoine, many visit to simply enjoy the forest and deep crater full of natural spring water. Travelers can take a short drive to the top or hike to the lake’s edge, following a path that encircles it. The lake is a pretty spot for a quick picnic, dip in the cool water or for birdwatchers to view unique species. 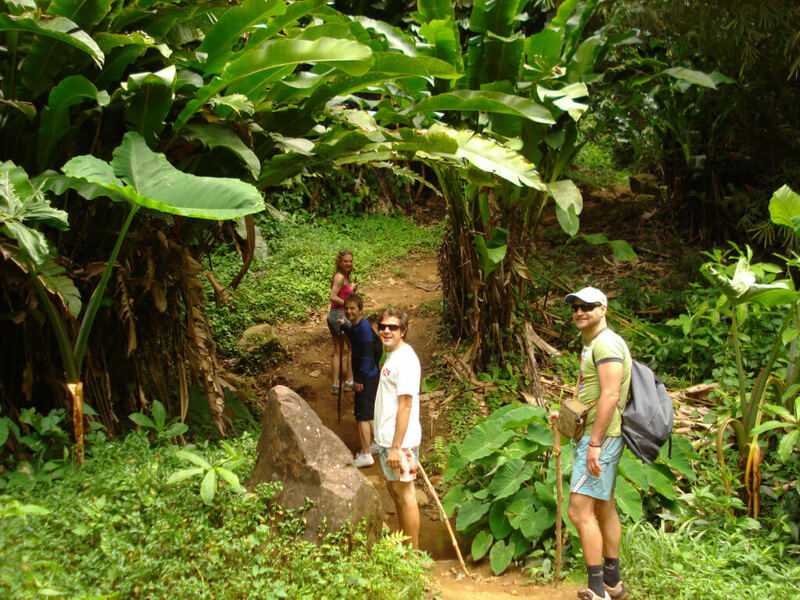 Since the hike is fairly easy, guests of all abilities can enjoy this scenic area of Grenada. To view all tours, that include our Grenada Crater Lakes, please check our Concierge Service. We will be happy to assist you with any tours, or sightseeing trips.